Well, we've officially made it through 2015. 365 days have come and gone. With each year that passes, new opportunities, challenges, goals, and memories present themselves. Every New Year's Eve I try to take a few minutes to simply look back on the past year. To reflect on the good, the bad, and the ugly. 2015 has been an incredible year. I am going on my second year living in Chicago. I began a new job at Nickelodeon. I went to Chicago Gourmet for a second time. I met incredible people along the way - from SoulCycle, to my new job, to Instagram, to ski retreats, to the amazing Chicago food community. I feel so lucky and #blessed for everyone that I have come into contact with this past year. I realize everyone gets a little bit corny this time of the year, but I truly mean it - you all have impacted my year and I am so grateful for each and every one of you. Looking ahead to 2016...I've decided to not necessarily write down specific New Year's resolutions, though I do have specific goals, dreams and resolutions in mind. For this next year, I've decided to choose one phrase. One phrase that I want to strive to achieve. That I want to wake up every day and remind myself of. One phrase that I want to remember in all that I do. I want to work hard to succeed in the new job that I recently accepted. I want to push myself outside of my comfort zone. I want to expand the content that I bring to you through Smak. I want to fight for my dreams that I am too afraid to share with people. These two simple words, Live Harder, encapsulate so much of what I hope for this next year. I challenge you to do the same - find a word, or phrase, or even a few resolutions that you want to challenge yourself to stick with and achieve. 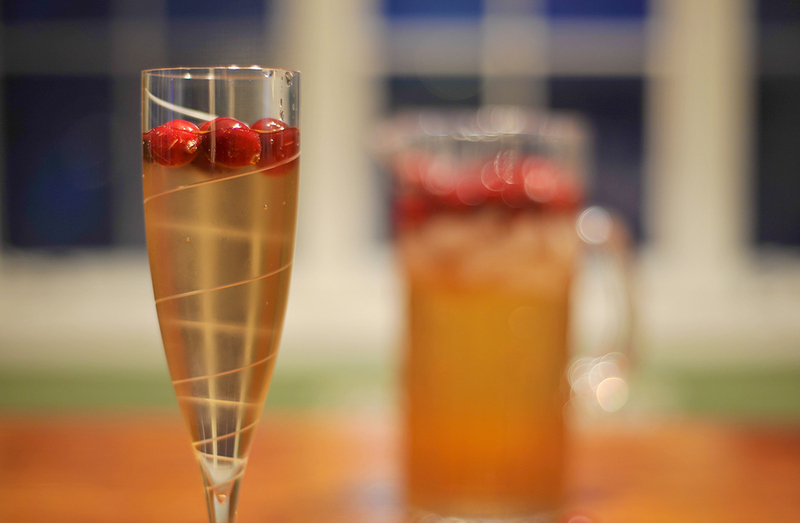 So as we move into this new year, I ask you to raise your glass (of this delicious Cranberry Spritzer) and say Cheers! Combine all liquid ingredients in pitcher. Pour over ice and garnish with cranberries.